The use of sound gives your own yoga class a unique touch. On the waves of sound, breathing and life energy can enter more deeply into bones, muscles, organs, nerves, lymph, and fascia. Sound connects body and mind and accompanies us on our way to our inner core. A Sound of Yoga class provides your students with effective relaxation at all levels. The asanas and meditations become a rhythmic experience through the sound-supported lessons. Body and soul start to vibrate; the outer sound travels on our inner paths through the whole body and touches the soul. Rest periods allow bringing a flow and a gentle swing to your own life energy. All cells gently align with the sound that increases self-awareness and body awareness. The soul can finally relax and let go.Sound can stimulate self-healing and will be remembered by the participants as a special experience for a long time. As a Sound of Yoga teacher, you support your participants in an essential way to flow more easily and very gently into the poses, to perceive themselves more intensely and to get in touch with their own core. This way, you ensure a healing time-out from everyday life with your lesson – a wonderful task! In this seminar, you will learn the specific use of sound bowls and gongs as well as the instruction of special sound journeys and sound meditations.  Sound of Yoga by Emily Hess® is an exceptional, unique yoga method, characterized by the personal education/experience of its founder.